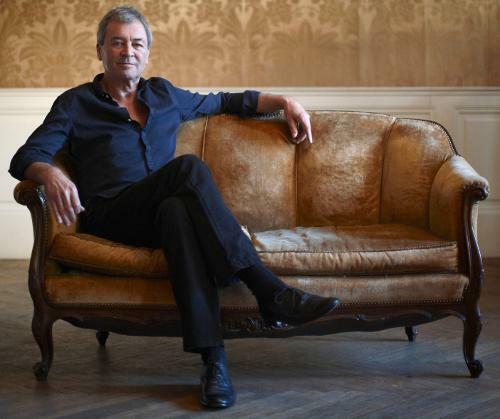 Ian Gillan will appear on the Classic Metal Show as a call-in guest tonight, May 23, at 9:40 pm EDT. He will talk about One Eye To Morocco as well as his history with Purple and Sabbath. Other call-in guests will include Mr. Big members Paul Gilbert (guitars) and Billy Sheehan (bass). The Classic Metal Show airs live on Saturdays between 9:00 pm and 3:00 am EST via www.cmsradio.net. We apologize for the short notice. Hope this time the phones will work. Posted by Nick Soveiko on Saturday, May 23rd, 2009, filed under News. You can follow comment on this post through the RSS 2.0 feed. You can leave a comment below, or trackback from your own site. Gillan gets unbelieveable media-support for the last few months, what happens? One Eye is great album. My opinion: he should continue solo, with something more suitable to his voice nowadays, rather then agonize himself trying to reach old notes. Roberto you are so right! So now a new Gillan tour with best from the past and most from the new album. That is because this is his OWN new CD. Please wait a little long while and then you see the same with the NEW DP release !!! Maybe this favorable media support would carry over to Deep Purple…If only they had new music to support. @ 2) Jeeeeesus ! What a joke. Have you ever listened to the lyrics of the last DP albums ? I think you haven’t. I love One Eye, but there is no reason to talk so. The European time was too late for me and later on I could not find the link, or do you call that FEED?, so thet I could listen later in the day. I could find Glenn Hughes show though. Failed to give me much. The interviews with Don Airey and Glenn Hughes on the same channel are more interesting. But nice for Ian to have so much exposure. Why then does it take years again to make a new Deep Purple album? It doesn’t, it takes weeks in fact. You could do well by taking a course on the subject of the innner workings of a band, lol! I m still exhausted from studying way back ya know. Maybe you should write a book about this, you seem to be very informed. Really. I always try to read your extensive writings on this subject. I think it would sell loads. I would certainly get me a copy. Do you think they would mind if you wheel out so much detailed INSIDE information about them in a comprised format?